One problem I have as a modern day geek is that I’ve amassed a fantastic collection of stationary and cards, yet I have no one to send them to. The only times I’ve sent mail in the last few years has been for annual holiday cards and wedding-related stationary. So I’m thrilled with what @darlingstewie and @frogmellaink have created: An opportunity for us geeky ladies to use the postal system while making friends in the process! Finally–an excuse to buy even more fun stationary and spoil someone with all kinds of cute little geeky surprises. 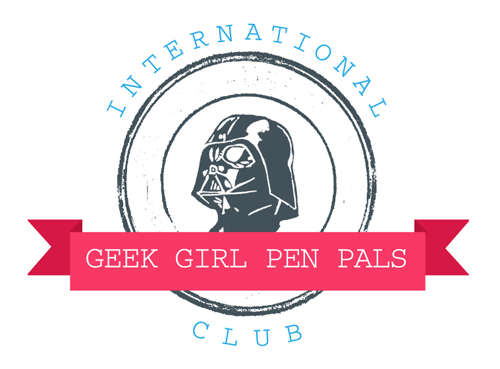 You can sign up for the International Geek Girl Pen Pals Club at geekgirlpenpals.com. But hurry–you need to get your name submitted by April 1st! I can’t wait to see who I get! Use Tetris Blocks to Build Your House! I think this is a GREAT idea. I’d really like more geeky female friends. They seem few and far between in these parts. Yeah! They filled up FAST! Pretty exciting to see all of the interest! They are full, but I’m so going to do this!